Tekona Senbei sits on one of the corners of a five-road intersection. Most of the intersection is one huge pedestrian crossing, which makes you lose your bearings a little bit, but perfectly fits in the chaotic way old roads were organised. This shop is around for over 50 years and is actually not much more than an open window where you can buy some fresh senbei. Senbei (煎餅, often written sembei) are generally speaking floppy large and hard soy-flavoured rice crackers. Check at my previous feature about senbei in Asakusa and Sendagi. The signature senbei at Tekona Senbei is the soy-flavoured young turtle (kame no ko in Japanese). A pack of these weirdly star-shaped senbei costs JPY 850, but you can also buy them individually if you ask. The senbei had a strong soy taste, were rather tick and had some small burnt spots, adding to the flavour. Other types of senbei are also available such as sesame flavored and arare (a type of bite-sized senbei). 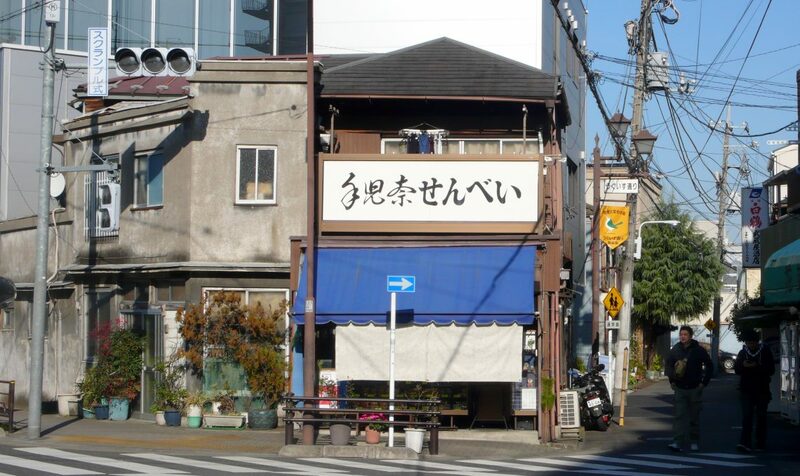 There used to be another store of Tekona Senbei, close to Tekona Reijindo, a mausolem in Ichikawa (Chiba), after which this shop is named. Therefore, this store’s name is pronounced with a “k”. Most Japanese will mispronounce it as tegona with a “g”. 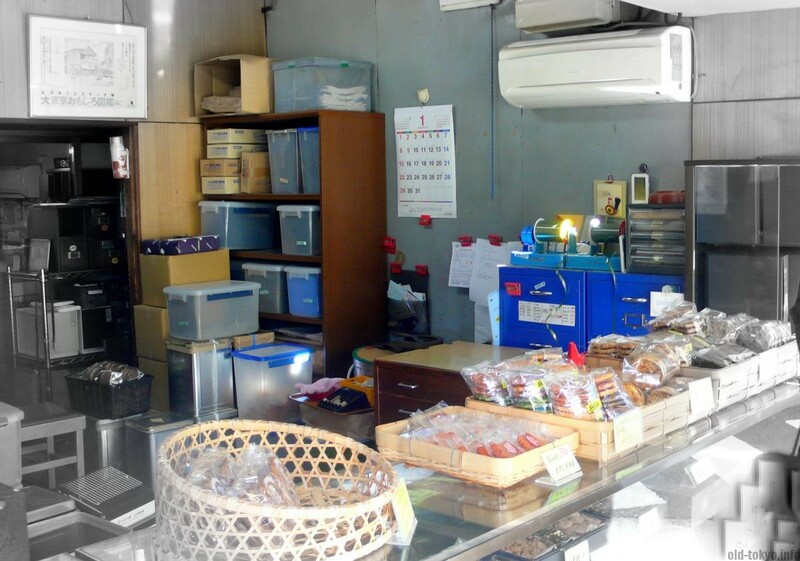 A peek inside the Tekona senbei store, a bit chaotic, but tasty. Why visit? Hand-made senbei, everyone’s favorite.